For at least two decades, many people who provide seed to feed the songbirds in their backyard have provided anecdotal evidence of an increase in the number of bird-eating hawks that visit their feeders. Now, an analysis of 21 years of data collected by Cornell University has confirmed those observations by noting that Cooper’s and sharp-shinned hawks, which prey primarily on songbirds, have been colonizing urban and suburban areas during winter because of the availability of prey at bird feeders. According to Jennifer McCabe, a postdoctoral researcher at the University of Wisconsin-Madison whose study focused on birds in the Chicago area, many hawk species had declined significantly by the middle of the 20th century because of hunting and pesticide use. Populations of most hawks, including the Cooper’s and sharp-shinned, have rebounded since then — largely because of legal protections and the banning of particularly harmful pesticides — enabling the birds to colonize areas that they had previously ignored. 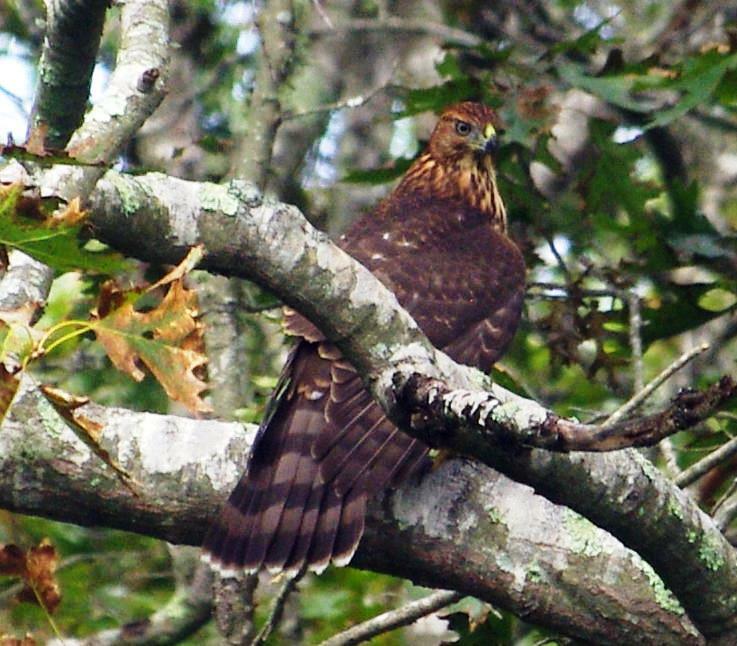 Birders in Rhode Island have also reported anecdotal evidence of an increase in accipiter numbers in recent decades, especially Cooper’s hawks. The relative absence of tree cover in urban areas and the abundance of pavement and other impervious surfaces didn’t seem to discourage the hawks from colonizing cities, she said. In fact, the more tree cover a site had, the less likely it was to attract accipiters in winter. The key factor was prey availability. As long as there were bird feeders attracting an abundance of small songbirds to the area, the hawks moved in. The impact the hawks are having on the population of common feeder birds such as sparrows, chickadees, titmice, and nuthatches hasn’t been measured, but it’s unlikely they will be impacted in the long term. They may even receive a boost, since other studies have found that urban accipiters primarily target invasive birds such as pigeons, starlings, and house sparrows, potentially easing competitive pressures on native species.